There has been no silver spoon evident in Darrin Disley’s incredible achievements in taking Horizon Discovery from having £9k in the bank in March 2008 to a $113 million UK stock market listing exactly six years later, thereby accomplishing the biggest life science float in the history of the Cambridge cluster. He has clawed and scrapped his way, metaphorically speaking, from humble roots to a position at the top table of UK and international business and has become one of the most respected and influential entrepreneurs in the second coming of the Cambridge Phenomenon. Having left school before the age of 16 he had a series of fights against long odds before him: first for his family, then for himself, and then for Horizon. To his immense credit Dr Disley’s takeaway from those hard battles has been to pay it forward in spades by helping, both through investment and also through mentorship, new generations of young students make the steps from innovator to established business owner with every chance of global success. He has endowed scores of young entrepreneurs with the kind of resources that were nowhere in sight when he was starting out. Dr Disley’s interest in business has never been far from the surface. To a certain degree he followed in dad’s footsteps “ducking and diving” to make a living by playing outside of the usual rules. A 19-year-old Darrin was playing semi-professional football and working as a laboratory technician for the Inner London Education Authority while his father ran his own small building and shop fitting business which employed 10 people but was struggling. These struggles put an inevitable strain on family life so Darrin stepped in to an administration role to help out – all the time pondering whether to go on to university at the completion of his ONC qualification. In 1998 following completion of his PhD in Biotechnology and a Postdoctoral Research Fellowship (both for Chris Lowe), Darrin was employed by The Technology Partnership to manage the bioscience aspects of a new technology consortia – called Acumen – that was being conceived in the area of high-content drug screening. 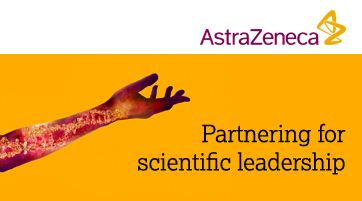 Darrin worked with members of the senior management to build plans and to pitch the consortia to top pharmaceutical companies; this resulted in a commitment by AstraZeneca and Rhone Poulenc (nee Sanofi-Aventis) to fund the consortia alongside The Technology Partnership. He says: “This programme was very successful and led to the launch in 2000 of the first products in the Acumen Explorer and then in later years the comPOUND and Mosquito product ranges, all of which still sell today. In fact, Horizon has just purchased the latest generation Acumen Explorer and we have one of the first release machines in the labs. This employment gave me a strong grounding in how you fund without dilution, build with your customers and market sales technology to the global pharmaceutical industry. Returning to the UK in November 2000, Darrin went to work at technology consultancy Scientific Generics Ltd in the Life Science practice. Within nine months he had spun-out Adaptive Screening Ltd alongside Imperial College and the University of Glasgow to build technologies for reducing drug development timelines and costs. Adaptive’s Surrogate Proteome Chip and Functional Cell Chip platforms were designed to challenge potential drug candidates ‘in vitro’ with the complex and non-linear biological questions they would be asked when undergoing animal and human trials. Dr Disley said: “In 2001 the first human genome had only just been sequenced after 10 years and only 1,200 unique protein structures had been crystallised. Potential drug candidates were identified by screening millions of compounds against a very simple biochemical assay that had none of the genetic or proteomic context or complexity of the human body. Drug attrition rates then were more than 90 per cent and translation into effective clinical treatments was poor. “The Surrogate Proteome arrayed the known protein universe – that is, drugable functional motifs, transport, metabolism and excretion proteins – onto a chip and then supplemented these with proprietary protein sensors that were made by mutating the binding pocket of the promiscuous odorant binding proteins found in the human nose to create biosensing models with tailored and diverse affinity. “All combined, this recreated the ‘affinity binding universe’ of a proteome which was believed at the time to comprise somewhere between 150,000 and 1,500,000 unique members. “By profiling compounds of known efficacy, mode-of-action, and toxicity over the arrays, patterns of binding could be identified, remembered, then referenced against the blind compounds which were the drug candidates. Bayesian statistics and Neural Nets were used to predict key properties of these candidates. “The Functional Cell Chip arrayed 96 or 384 individual cells in a microfluidic chip. Each chamber of the chip could be electrically controlled to stimulate dynamic disease states with the function cell compartment. Dr Disley did not yet have the confidence to call himself CEO (instead the company only had a COO) even though he was co-founder, first employee, author of the original business plan, co-inventor on seven of its 15 patent applications, and raiser of circa £1 million in financing from venture capital sources. He also built a multidisciplinary team of 14 people within the first 12 months and further managed the R & D programmes for the company’s technology platforms. Dr Disley went on to co-author the company’s second business plan that would be used to secure Series A Funding, and also played a key role in the investor presentation team while managing an extensive, technical and commercial diligence process with multiple VC firms. Despite tough economic conditions he secured two term sheets from premier VC firms for private equity investment of £20m and £2m. The lead investors, however, insisted on Darrin recruiting a CEO above him and Frank Craig – now spearheading Sphere Fluidics – was brought in to fill the role. When the £20m deal fell through following the post 9/11 market turmoil, Craig moved on and Darrin endeavoured to work with Imperial, Glasgow and Generics to complete a smaller fundraising; that didn’t come to fruition either so the company was wound-up later in 2002. This roller-coaster ride developed both Dr Disley’s knowhow and his resolve. It was arguably more useful than any formal business school or entrepreneurship training: “I had never had any training, so I compiled the first business plan using my own wits and raised the investment off my own bat. But I have to say that the entire process was difficult and stressful. With all the obstacles tipped in his path one would think Dr Disley wondered at some stage why he had bothered to get into business: “Not at all. It was the most exhilarating experience I’d had until that point. I learned to manage people and investors, write a business plan, raise money, write legal documents, do management accounts, present to all sorts of investors and customers, deal with adversity, and come through under pressure. “Even though I lost Generics’ and Imperial’s money the end of the business afforded me the most valuable lesson of my career. In tough times you learn most about your own character and of those around you. The positive and constructive way I conducted affairs with all the stakeholders (on the last day I threw the investors, employees and former colleagues a party to say ‘thank you’ for their support) meant they all worked with me again. After the wind-up of Adaptive in 2002 and up to his start at Horizon in 2008 Dr Disley co-founded numerous businesses characterised by the simplicity of their business model. From these, DNA extraction devices and human growth-factor research reagents have been sold to good effect, generating consistent revenue growth and profits. This activity created the ‘space’ so that when Horizon Discovery came along he was in a position to be able to participate fully in the upside of the business. Dr Disley’s success with Horizon Discovery is well documented. For example, the company has just been named Business of the Year in the Business Weekly Awards for the second time, joining an elite quartet of ARM, CSR, Domino and Pi Group. Its £68m IPO on AIM was a spectacular success in every sense. Beyond returning £6.7m to the founders pre-IPO, its debut share price of £1.80p produced returns for investors up to 32x. It was not only Cambridge’s largest ever bio float but the second biggest non-therapeutic float in the history of the UK life science sector. Now Horizon is pushing ahead to become Cambridge’s biggest ever non-therapeutic life science company as it leverages the global opportunity presented by its turnkey prowess in the translational genomics arena. Amazingly, during this surge of activity for Horizon, Darrin has also found time to steer the early fortunes of Cambridge University spin-outs such as GeoSpock, Desktop Genetics and TeamLayer. In 2013 he became lead investor and chairman of GeoSpock, a company aiming to be the Google of big and dynamically-changing data that recently was named the Business Weekly Cambridge Graduate Business of the Year. That same year he became lead investor and chairman of Desktop Genetics, which creates enterprise software for accurate DNA synthesis. This year he began guiding TeamLayer which develops online collaboration tools for entrepreneurs, CEOs, and business angels. He is currently fund-raising for all of these companies. In all, Dr Disley is an angel investor in more than 20 companies – including Axol Bioscience, Neul, and LaSalle Education. Neul was last year acquired by Chinese ICT giant Huawei for £25m. His advice to future generations starting out in business is heartfelt and worth writing in tablets of stone: “Businesses are about creating alignments of interests between founders, investors, other shareholders, and most importantly your customers. There is no such thing as a lifestyle business. “Don’t blame others when things go wrong. Always look inside to understand what you contributed to every given situation before reacting. “Never use the ‘reply all’ button, and learn to prioritise tasks: no e-mail has to be responded to immediately. “Embrace your strengths, accept your weaknesses, and don’t take yourself too seriously. Delegate to those who have more specific skill sets. “And remember – not making a decision is not a decision! I would add that the timing of a decision can be as important – if not more so – as the decision itself. That is a gem I learned from Jonathan Milner. Dr Disley believes the UK is currently “the best country in the developed world” in which to set-up a high-growth technology business: “Horizon is an exemplar. A UK biotechnology company globally leading its field, it has benefitted extensively from the UK government’s award-winning legislative programme enshrined in the Office for Life Science Strategy. “Horizon has benefited from £12m of EIS funding which promotes an ordinary share class and enterprise control compared with VC funding; R & D tax credits for making cash available when companies most need it; 10 per cent Entrepreneurs’ Relief for founders on the first £10m of capital gains so they can keep more cash to invest in tens of new businesses and charitable endeavours. “Horizon was the first investment via DFJ Esprit of the flagship UKIIF. This country has low Corporation Tax via domicile of patents in the Patent Box, which facilitates more re-investment into R & D and makes it attractive to acquire foreign companies. Dr Disley is on record as saying that new companies need to put global scale-up on their agendas from Day One and says there are still too many founders who are limited by ambition and an unwillingness to take the harder path to long-term, sustainable success.